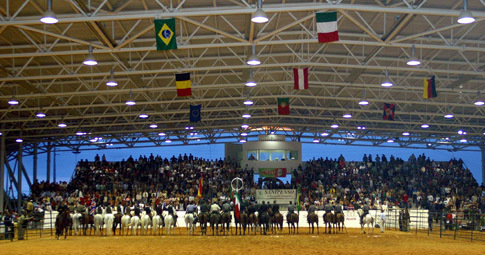 As to be expected, the characteristics of Working Equitation lead to a huge success and the four initial countries in which trials of this type were currently used - Portugal, Spain, France and Italy – were promptly expand to another countries such as Germany, Belgium, England, Sweden, Switzerland, Austria, Australia, Holland, Czech Republic, San Marino, Brazil, Colombia, Slovenia, USA and Mexico with an important increasing participants. Another of its special features is the fact that it constitutes a prime example of an ethnographic and cultural showcase, maintaining the traditional costumes and saddlery characteristic of each country. As a result of the practise of this discipline in different countries it become urgent to approach all the regulation’s existing and in consequence it was created the WAWE – World Association for Working Equitation, in 2004. 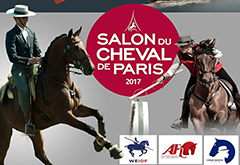 WAWE as the main objectives to moderate, organize and developing this equestrian discipline. Beyond the Seniors World and European Championships, WAWE wishes to promote the discipline among young riders and therefore has already organized two European Championships for Juniors. We consider that the entry to the FEI becomes of great importance as it will potentiate the practice of the discipline in much more countries. Being recognized by the Entity that supervises the most expressive modalities from the equestrian scene is a fair recognition for all the work done and also for the astonishing development and success of Working Equitation.